Homeschooling on a budget is a passion of mine. I’ve been homeschooling for over 10 years and during that time I’ve been a stay at home mom which means one income and money was tight. When I returned to work it was to help cover the cost of raising kids, therefore, saving money was still vital in making it all work. Many hesitate to homeschool because they feel homeschooling is way too expensive. I am here to bust that myth wide open my friend and tell you homeschooling doesn’t have to break the bank! You can homeschool on a budget. 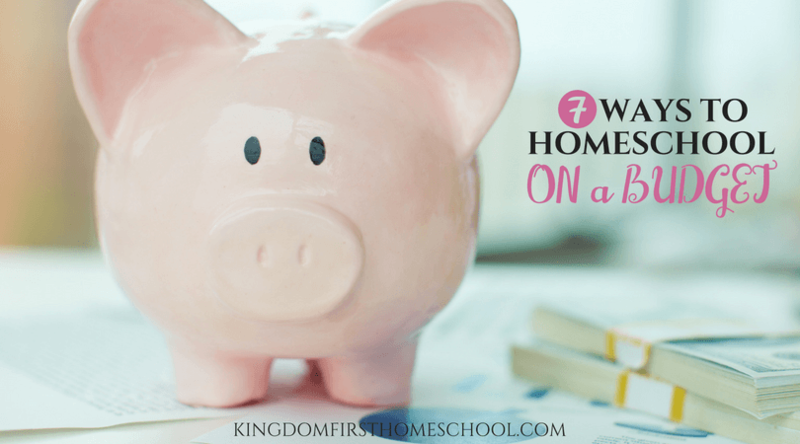 Saving money on homeschool curriculum doesn’t have to be complicated. It can be simple to keep more of your own hard-earned cash. Reuse what you have. Take a good inventory of what you already have on hand that can be passed along to younger children. Be sure to check all the cubicles, drawers, kids work boxes etc. Cross off anything on your list you don’t have to purchase. Bargain hunt. Now that you have your list start bargain hunting for great deals. Check all of your favorite places including but not limited to online, bookstores, crafting outlets, library books sales, used and buy and sell. Use free resources. Before you get all hyped out on free, I want to give you a small warning. Free often means a trade off…be it time spent researching to find something really great and pulling resources together OR the supplies needed to use the “free” program end up costing you more money than a purchased curriculum. So be sure to take a moment and count the cost. There is nothing wrong with free resources, in fact, I use a few of them myself. That is how I was able to homeschool two children one year for only $250 Canadian. So check around and see what is available keeping in mind your child’s unique needs. Invest in quality supplies and programs. When you find something that just works, it is worth its weight in gold. Jumping from one program to the next searching for “just the right one” that clicks with your family is so frustrating and costly! So when you find it and it works, stick with it. The same with supplies replacing cheaply made supplies that don’t work or break every few seconds not only costs money but frustrates both you and the student. Those few extra dollars are worth the investment. Make use of free or low-cost trials. Trying out a program before buying is a great way to find out if it will work for you without spending the money. Many places will over sample sheets, limited time free trial period or even a low price to test it out. Make good use of these. Read reviews from trusted sources. Reviews are an awesome way to save money. For one, a good review will tell you all about the product, sharing their user experience including but not limited to what they liked and disliked about it. Always good to know! Secondly often there will be a giveaway or a discount code to get the item a little bit cheaper. So be sure to check them out. One of the most common misconceptions about homeschooling is that it is extremely expensive. While there are certainly some pretty pricey curriculums and tools out there the fact is that many people homeschool on a tight budget. You really can homeschool on a budget. What is your favorite way to save money in your homeschool? This is a part of the Homeschooling 101 Series, check out the other posts and visit Jen’s blog PracticalbyDefault.com where she shares more practical tips and solutions for the working homeschool mom. Up tomorrow we will be sharing a Complete Guide to Learning Styles. Hello, My name is Jen and I am the writing voice, blogger and coffee drinker behind Practical, By Default. 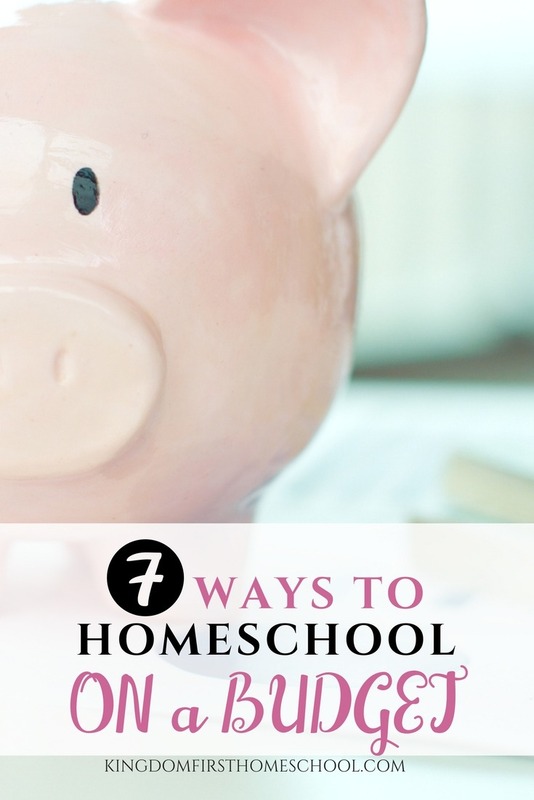 Fantastic tips, Jen:) I am always looking for ways to save money for our homeschool. Thanks for sharing! You are welcome, it is important to save money where we can. Thanks for reading! Thanks for having me! This party has been a blast!